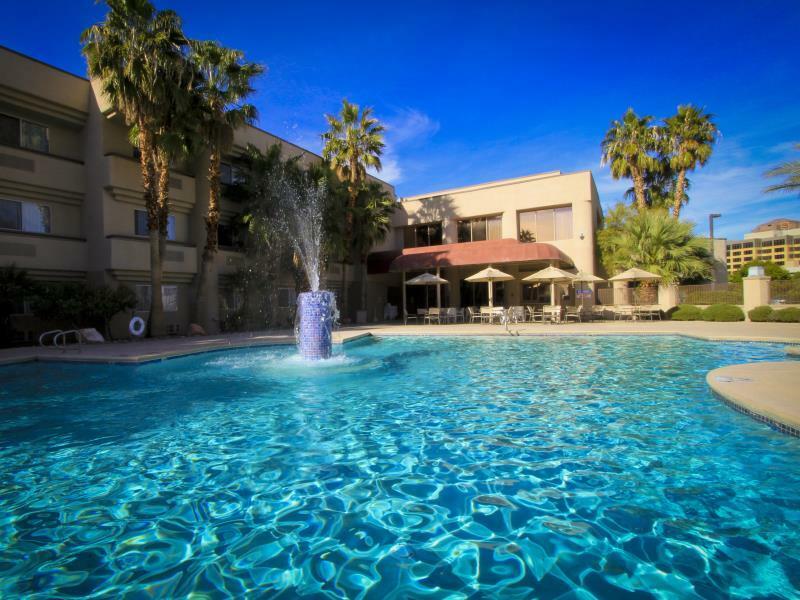 "The hotels in a great location and free parking is great, ho..."
Have a question for Fortune Hotel & Suites? "Great value hotel just off the strip good pool comfortable and good breakfast would definitely return"
"Not only Best Price in Vegas , also have free Breakfast in the morning, and the room is clean, Free Parking !" "The rooms are nice, beds are comfy, and water is hot." Situated in The Strip, Fortune Hotel & Suites is the perfect place to experience Las Vegas (NV) and its surroundings. The city center is merely 1.5 Miles away and the airport can be reached within 15 minutes. A well-kempt environment and its proximity to Well Spa, Ellis Island Casino & Brewery, Hard Rock give to this hotel a special charm. 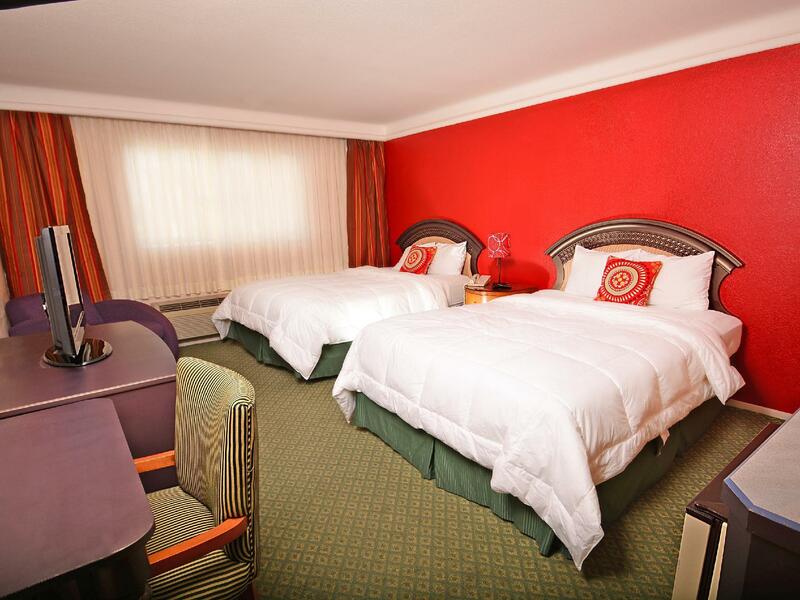 Offering hotel guests superior services and a broad range of amenities, Fortune Hotel & Suites is committed to ensuring that your stay is as comfortable as possible. Guests of the hotel can enjoy on-site features like 24-hour front desk, facilities for disabled guests, luggage storage, Wi-Fi in public areas, car park. 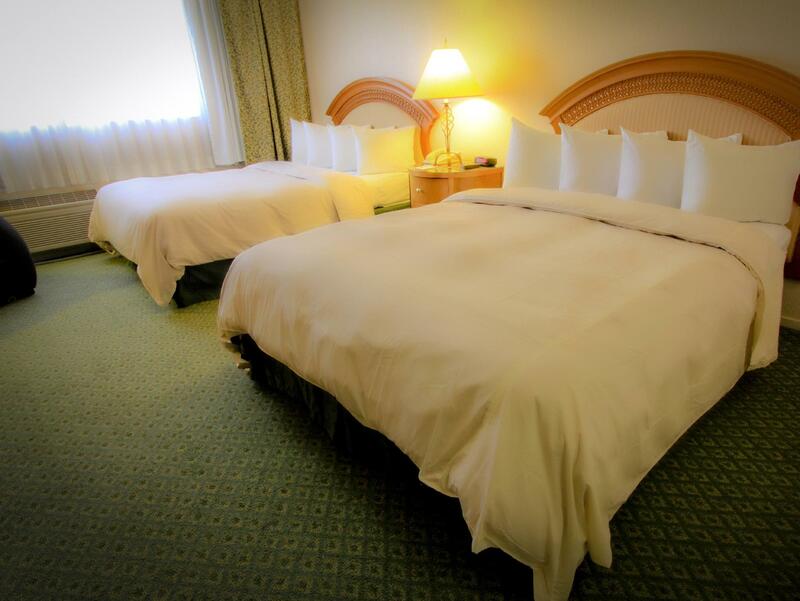 The hotel features 150 beautifully appointed guest rooms, many of which include television LCD/plasma screen, internet access – wireless, internet access – wireless (complimentary), whirlpool bathtub, non smoking rooms. The complete list of recreational facilities is available at the hotel, including hot tub, outdoor pool. 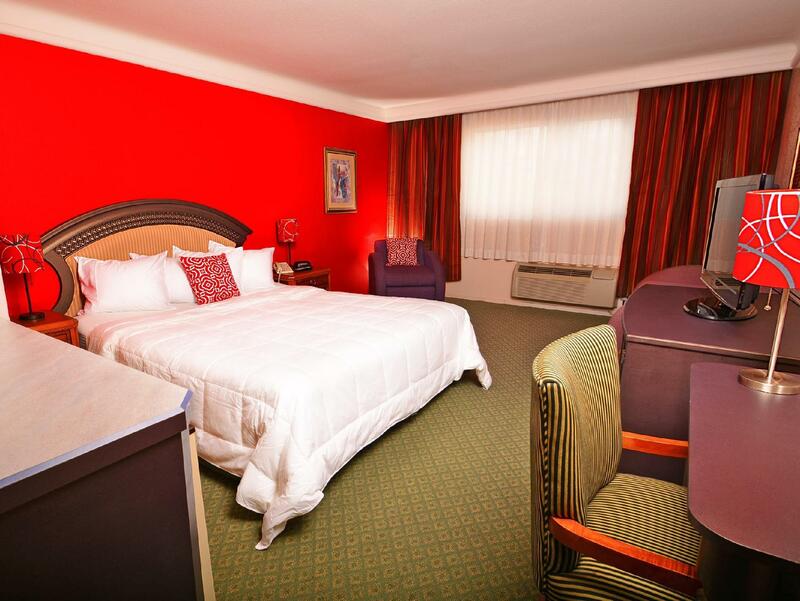 Whatever your purpose of visit, Fortune Hotel & Suites is an excellent choice for your stay in Las Vegas (NV). "The pool was actually quite nice and was the best part of th..."
Local residents of Las Vegas are not accepted at the property. Guests are required to present an ID as proof of their residence outside Las Vegas. If your after inexpensive accomodation at hostel type level but getting your own room is a must then this works well. It is budget but does the job if you want to spend your money on the strip or other activities later . Good value, slightly dated hotel. Pickup from airport and basic breakfast included. Good helpful staff. Very uncomfortable beds, no pillows. Just 2 towels per room , we were a party of 5. Breakfast is quite poor, just Bread and pancakes and butter. Resort fee of 14 U$ even it was winter and couldn't use the pool. The rooms are nice, beds are comfy, and water is hot. Breakfast is complimentary but not satisfying. It’s a little far from the Strip if you’re walking but otherwise - the staff was very friendly and we had a good night’s rest. TV did not have remote control It did not works. After I told the front desk person about it she was assured that she will send some one to fix it . When I came back to the room 3 hours later - nothing change. When I was checking in she did not like the way I talk to her asking why do I have to pay $150 cash deposit which I was not expected to do . She tolls me that she does not like the way I talk and will cancel my reservation - I can go to another hotel . I asked if I can talk to the manager she told me that she is the manager. Whould you recommend the hotel with a “manager” who does not like how customer talk to her was ready to cansel the reservstion which was already been paid in full ? Just one hour early change is 10 USD plus tax even not allowing to stay for 24hrs, and compulsory pool charge 10 USD plus tax.....very very few limited breakfast items....it's ok that's the policy but we are helpless while booking online. We have stayed here in the past but the facility is going downhill. This past time we had NO PILLOWS. Front desk said they would try to locate some but over an hour later when we called again we were told there were none as the facility was sold out. After a poor night's sleep we discovered there was no hot water. All this is unfortunate as it is close to the airport and has a free shuttle. Fortune is good value. It is clearly not 5 stars, but I don't need 5 stars. The bed was comfortable and I slept well for 5 nights. January isn't swimming season, so I can't speak about the pool. The free breakfast is limited, but good enough for the price. Maintenance was a little lacking. The shower head sprayed every which way. There was no stopper in the bathroom sink. The faucet on the bar sink was difficult to operate. The refrigerator really needed a defrosting. None of this bothered me. The room was clean and quiet. WiFi worked fine. I will stay there again. It was a great experience staying at this hotel. Affordable, nice friendly staff, clean, free breakfast..... you can’t beat the price as compare to other hotels in Neighborhood. Pool was not that clean, can be batter but still it’s ok. We had a great time. I’ll definitly stay there again !! We didn't end up staying there. When we got to the hotel it did not look like the advertisement. It was not clean and they had vector control there while we were waiting. I tried to cancel with the front desk but they said that I couldn't cancel. Needless to say I wasted my money. The price was good the room seemed clean breakfast was acceptable. There was what seemed to be a queen size mattress topper on a king sized bed which was a little odd. It also had some sort of plastic covering which made you feel like you were sleeping on a child bed. The hotels in a great location and free parking is great, however it took us a little while to find a spot because there were not many left. Great location not far back from the Strip. Decor is quite old and dated but everything is clean and the staff are friendly. Oatmeal and boiled eggs supplied at breakfast as well which makes a nice change from the usual muffins and doughnuts! Very far to walk to strip. Nothing to do at the hotel. Breakfast not great. Resort fees for pool that is not heated. I missed my flight and had to stay an extra night so went with the closest and cheapest to the airport. My room was dated with the mattress that needed to be replaced a long time ago. Overall though the room was fairly clean. The pool was actually quite nice and was the best part of the hotel. The free breakfast was pretty bad and then when checking out found that their shuttle to the airport was down. I've stayed in worse, but definitely better. 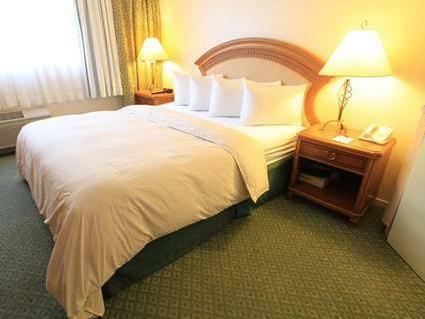 This hotel is well located near the strip and gives good value for the price. Especially appreciated the free transportation to and from the airport and the complimentary breakfast. My bf and I stayed here for 2 nights and were a bit weary because of all the past reviews. We checked in on a Sunday night, and the staff was very welcoming. Immediately one can tell it is an older hotel, yet for the price, it's totally worth it. Our room was on the second floor (only one elevator) but not busy at all. We had a nice view of the city ("the Ferris wheel") a huge bed and old TV, but hey! We had cable! Anyway, it's not like we were planning on staying in the room all day and night. We didn't stay for their complimentary breakfast, but there is some basic food items laid out in the morning. Overall, we had a really FUN time in Vegas, and had a place to crash out at after partying. Nothing fancy, we're not really high maintenance, so this was fine for us. Thank you! We had a wonderful night at Fortune Hotel (formerly the Ramada), and felt very comfortable at all times. We were warmly welcomed by Grace, and were given an early check-in without paying the prescribed $10 fee. The Hotel is located next door to an excellent Casino, the Tuscany, where we had a lovely dinner. Checkout in the morning was conveniently late at 11am, giving time for a nice swim in the Pool and a great Continental Breakfast (included) before moving on to a week in our Timeshare Apartment on the Las Vegas Strip, with happy memories of our night at Fortune Hotel. We'd definitely stay there again. Human kindness, respect, cleanliness, great value ! I am a local with two small pet dogs. Our apartment complex was being renovated, and we.were forced to find somewhere where to stay. Fortune was not only the best value, but the staff was friendly, and the rooms were great. My wife still misses the comfort of the matresses, and asked me if we could buy smilar ones. We had a very enjoyable stay. Thanks!